OK, so which one of you Seiko nerds have not ended up in the 6139 chronograph swamp? Not many I assume. Man, I didn’t even want to go there but they’ve been circling all around me where ever I’ve been. “The first automatic chronograph in space and yadayadayada”. Jeez, I even had one in my box, which had been given to me by S.L. just in case I wanted to buy one, for over a year and a half without wearing it. That one even had a day wheel in Swedish which in retrospective was quite cool. In the end I never did buy it from him and eventually returned it. It was just something about it. Something about all of the 6139’s. To me they felt fragile and I just didn’t feel comfortable wearing them. I also didn’t like that push/pull quick set feature of the day/date configuration. It felt like they movement was going to give up any second and I hated that feeling. The one I got from S.L. with Swedish day wheel that I never bought. The day wheel says Tis for Tisdag (Tuesday). But then one day a so called Pogue came flying my way for $230 and I could no longer look away. And from what I could tell it was all original. This was in March 2015 and the sales prices for the Pogue’s had just taken a serious leap upwards. I might have kept mine for a week before I sold it and I of course sold it for the same price that I got it for so no profit that time either, even though I easily could have made some. I gave the watch a shot and I didn’t like it. Simple as that. So now I know and don’t have to give it any more thought. The 6139’s simply aren't for me. End of story. I know there’s a lot of history and stories about this particular watch reference (why it’s called the Pogue etc.) that I haven’t mentioned but honestly, it doesn’t excite me so if it excites you there are plenty of other sites you can go on and read about that. To me this was just another flip. #253 - The Seiko 6139-6002. You always want a day/date for Friday the 13th. In early 2015 I got hooked on Sinn again. 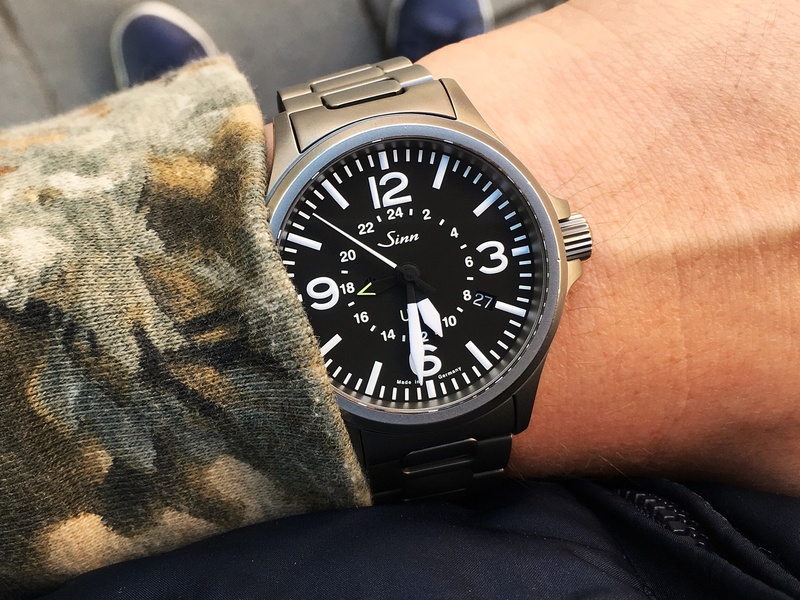 I was really struggling to find the perfect all-purpose watch and after some serious research I came to the conclusion that Sinn must have the answer. At least on paper they had all the features I wanted in a watch. My shortlist of demands was something in the 40mm region with a screw-down crown, WR200m and matte black dial. What made me look towards Sinn was of course all their cool technologies and it was their TEGIMENT treatment of the steel that really won me over. It felt like a must have feature for a 24-7 watch. I went through their catalogue over and over and finally settled for the 856 UTC-S. 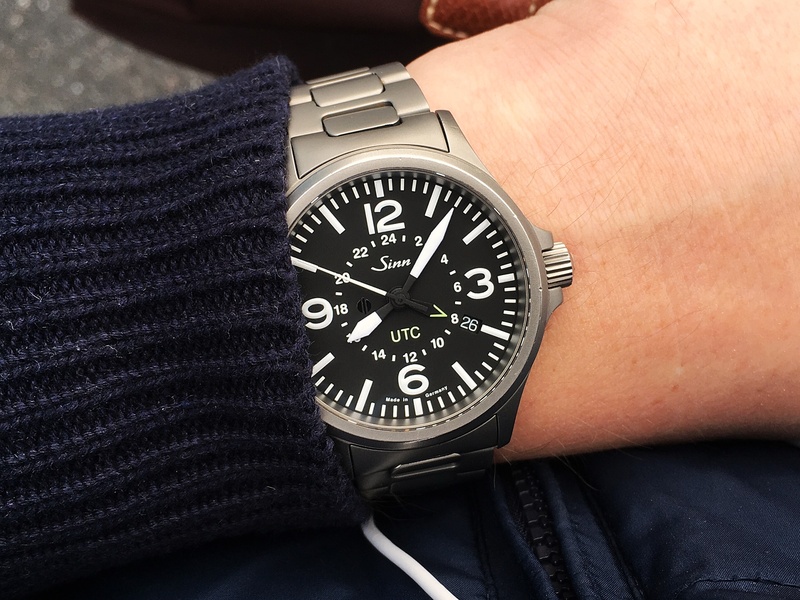 I actually thought the 857 UTC-S was better looking and I would have preferred to have a bezel but it was the size of 43mm that made me hesitate. In the end the 856 felt like the better choice to me. In March 2015 I headed down to the only authorized Sinn dealer in Sweden; Erikson Urhandel. I showed up just a couple of minutes before closing time and happened to crash an on-going Rado event. So, before I could go on asking the staff about Sinn I had to listen through the entire sales pitch from the excited lady from Rado. Unfortunately they had just sold their only 856 UTC-S but when I compared the regular 856 UTC with an 856-S non-UTC I actually preferred the finish of the regular version even though I usually prefer PVD. I also reasoned that the non-PVD version also was going to be more versatile from an everyday wearing perspective. Down in the Subway on my way home from Erikson Urhandel. #252 - The Sinn 856 UTC. The complete kit. I don’t know how many Rado’s that were sold that evening but at least Erikson's got another Sinn sale. I did my best to avoid other watches and was 100% dedicated to this watch for a very long time. It was perfect on the wrist, kept perfect time (ETA 2893-2 inside), was super legible and had a design that I really liked. I truly was super happy with my choice. The only function I could feel that was missing was the bezel though. It wasn’t until I lacked one that I realized how much I actually used it. Still it never was something that I considered being a deal breaker since everything else about the watch was so good. What happened instead was that I got bored. Which I always do. I guess there’s no way of preventing that. That’s just how I function. Too much of the same every day and I get bored. The 856 UTC did a great job and came very close to be the perfect watch but it couldn’t cure my flipping madness. A series of random wrist shots from through the years. Sinn is a brand that still have plenty of watches that I just have to try out. I recently crossed the UX (so awesome!) from my list of must haves and I just added the new U1-S to that list. They also keep presenting new and innovative designs and features and I’m sure I will continue to add Sinn watches to my list. A fantastic brand for true watch nerds! Resting on top of on one of my Vans Star Wars Slip-On shoes. At home trying out my new Vans Star Wars Slip-Ons. Waiting for a train in the Old town of Stockholm.